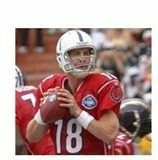 Rumors are that Peyton Manning will be visiting the Tennessee Titans, and the Miami Dolphins, on his tour through teams that are courting the star quarterback. Several online sources are reporting that the owner the Tennessee Titans, Bud Adams, made it clear that he wants Manning for the Titans. Manning played for the University of Tennessee Volunteers as a college quarterback, and led them to an SEC Championship in 1997. His wife is from Memphis, Tennessee, If the Titans snag Manning, it would be a huge draw for fans. It’s also been rumored that the Miami Dolphins would like to bring Peyton Manning on board. Some said he would be in Miami to meet with the team on Monday, but reporters on the hunt for him in Miami did not report any sightings. The other teams that Manning is known to have visited our the Arizona Cardinals and the Denver Broncos.